So y’all know I go a little crazy on the mascara. I’m just as much of a mascara junkie as I am a nail polish junkie. There are only 3 things I will not leave the house without wearing … clothes, nail polish and mascara. And I’m always on the hunt for my “perfect” mascara. My hunt lead me to the Rimmel London Volume Accelerator mascara. I picked this up a little while ago, hoping that my search for the perfect mascara would be over. Keep reading for pictures and my review! The packaging on the outside is kind of nice actually. It is a sturdy handle and is really big around. It makes it easy to grab and maneuver. But I do have some issues with the inside of the packaging. What I don’t really like (and I conveniently forgot to take a picture of it) is how large the opening is. The opening is so large that it doesn’t do the best job at removing excess mascara from the brush. 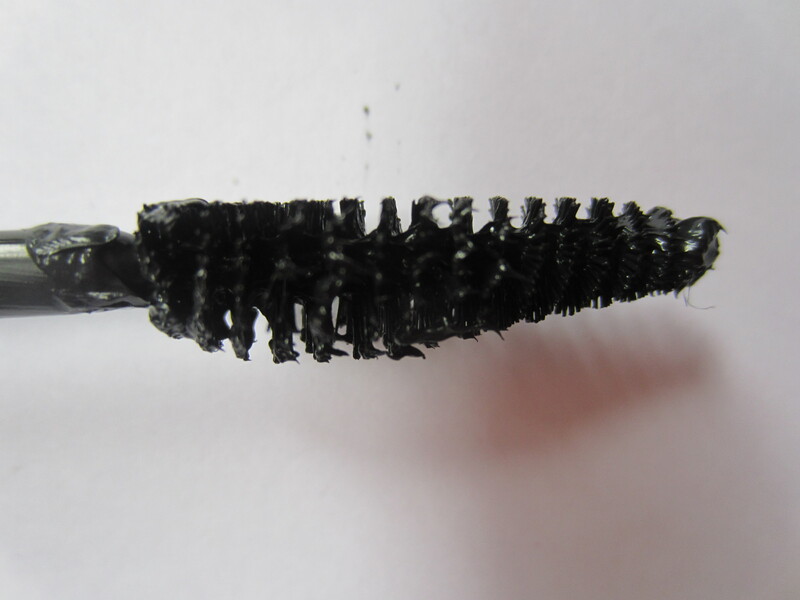 As you can somewhat see from the picture, there is a ton of product on the bristles and all over the base of the brush. I have to say I’m not a fan of the brush. I really wanted to try out these cone shaped brushes with a fat round base and tapered tip, like the Maybelline Great Lash Lots of Lashes and Lancome Doll Lashes. I thought this brush was going to be like that but its weird. It is that cone shape but one side is completely flat. It makes application a little tricky because the flat side applies product much heavier than the other side. And since the brush is so wide, I found that I couldn’t apply the product with just the round side. I ended up having to apply the product on the side of the brush rather than on the flat or the rounded areas. What I Like: Not much! But I like how black the mascara is and how it really gives the base of my lashes a good black base. I like that this is only one coat. That’s about it for what I like about this mascara. What I Don’t Like: Oh this might be a long paragraph. This mascara clumps my lashes like crazy. I cannot for the life of me get a clean application of this mascara. This mascara also is super super wet. I’m not a huge fan of wet mascaras because they are super clumpy. 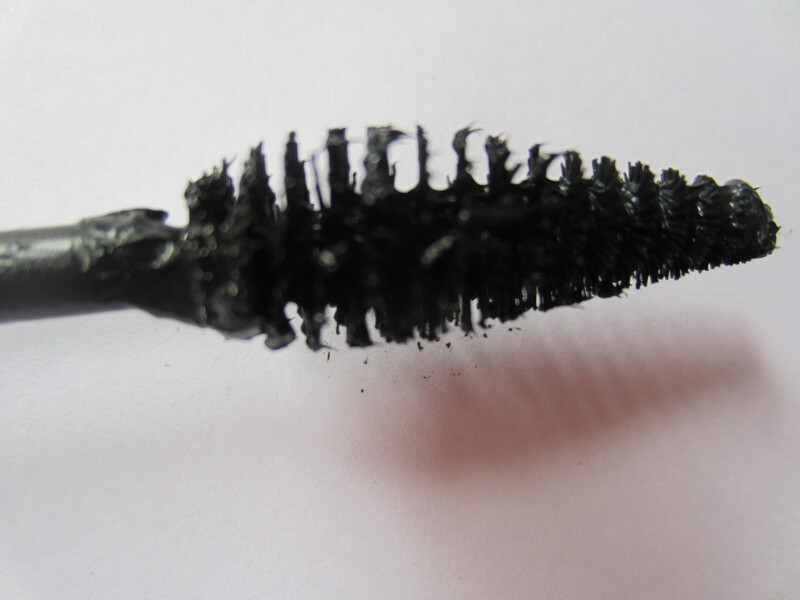 Also because the opening of this mascara is so wide, the brush has a ton of excess product with is a wet sloppy mess. That makes the clumping even worse and also means that I get mascara all over my eye area. 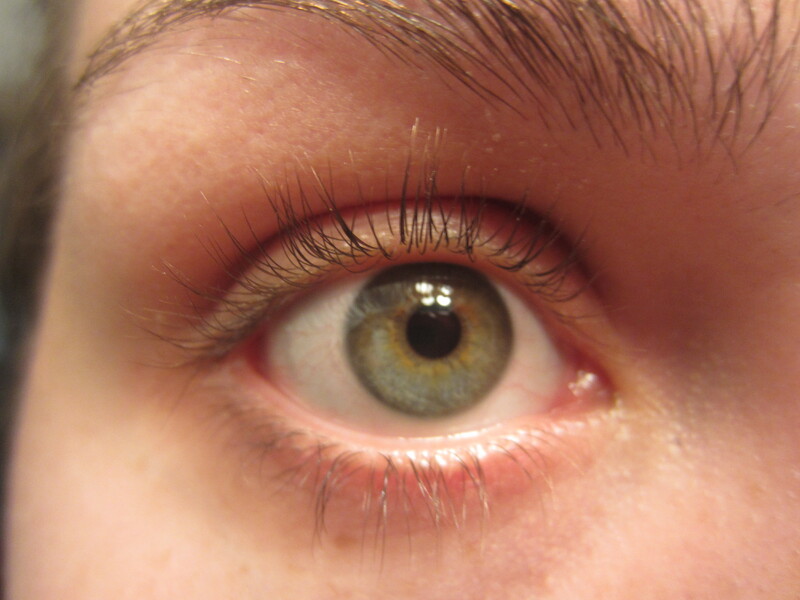 Check out my water line and upper lash line … mascara smudges all over the place. 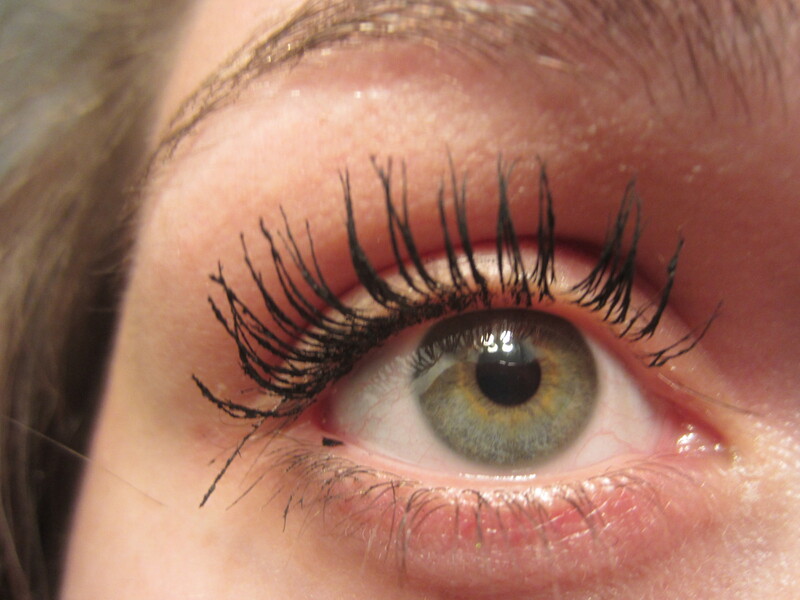 And what you don’t see from these pictures is that not only is this mascara a clumpy mess, but its a flaky mess too. After about 5 or 6 hours, I am getting flakes all over my checks and in my eyes. Overall, there aren’t too many products that I will say I hate, but this one is almost there. This isn’t the worst mascara I’ve ever tried, but its definitely the second worst. Coincidentally, the worst goes to another Rimmel Mascara. But I’ve tried other Rimmel mascara that I really liked, aka the Glam Eyes mascara. It clumps, its too wet, the brush has way too much product on it, it flakes, and the brush is super awkward and hard to work with. The only thing that saves this from an F rating is the fact that it is so black and is so intense with just one coat. Side note, while I hate this mascara on its own, I have started using it as a layering mascara in order to not waste money. I use a much better mascara, which I’m almost out of, as my base mascara to define and separate my lashes and get them to the perfect state. Then I use this to darken my lashes. It clumps, go figure, so I have to use the wand from an empty mascara to comb the clumps out. Then my lashes look good. But should I really have to do that much work to make my lashes look good?